Height Safety Awareness – Level 1 Training Courses? The Height Safety Awareness – Level 1 Training course is designed for those who already have a comprehensive knowledge and experience of Working at Height. They will already possess the experience of a range of fall arrest equipment within a variety of different environments. They will also have an understanding of key legislation and be aware of the dangers of working at height including the characteristics and limitations of personal fall protection equipment (PFPE). They will be able to inspect fall arrest equipment and know how to dispose of spent equipment or equipment used in anger in the correct manner. 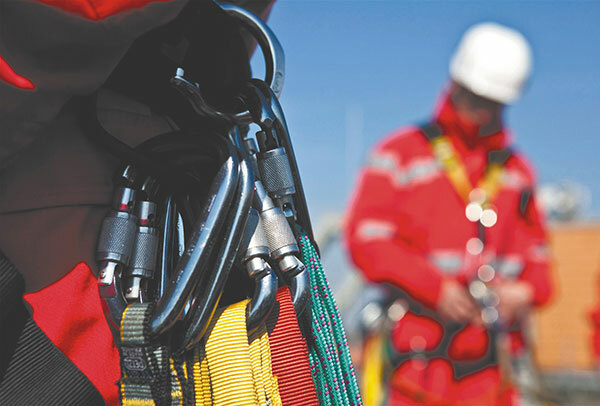 Operatives working at height who may be expected to work in unprotected areas or those moving between anchors when climbing at height. Standards adhered to are: The Working at Height Regulations 2005. BS 8437 COP for the selection, use and maintenance of fall protection systems and equipment and BS 8454 COP for the delivery of training for work at height.